As our tour guide and the trek initiator Duane Poppe tells us, Nepal is a place where things collide. Geographically, it marks the Indian continental plate crashing into the Eurasian one – resulting in the magnificent and still growing Himalaya mountain range, which brought us here in the first place. Culturally, it sees a meeting of Indian and Nepali Tibetan influences, resulting in a very special coexistence of Hinduism and Buddhism together with other religions. Walking down the streets means passing countless Ganesh-Shrines and Stupas, smelling incense sticks and maneuvering between plates with rice, flowers and butter lamps—Pujas, the ritual morning sacrifice to the gods. Everything is covered in red powder, tika, which is a symbol for a blessing and worn by many people on the forehead. It is an impressive pantheon of colors, smells and religious art which greets us as we arrive in Kathmandu. No travel guide will ever enable us to tell all the deities apart. There is only one superior influence we recognize immediately: bureaucracy. Steeled by a 90-minute procedure of obtaining a visa-on-arrival at the airport, the first official day finds our group of US-Americans, Canadians, Australians, Germans and Swiss residents in the Tourist Service Center. For trekking as well as passing through natural reserves, we need to get special permits. The office resembles a little crafting workshop, as applicants are required to bring altogether 4 photos, cut them to the right size and glue them on the respective documents. We treat ourselves to a tour of the city afterwards. In the afternoon, Pratibedan Baidya and Ramesh Rayamajhi of the LWF Nepal team give an introduction to the country. Nepal, 147,000 square kilometers landlocked between India and China, has 27 million inhabitants, of which one third are younger than 15 years. It is home to eight of the world’s ten highest mountains and has a great variety of landscapes and cultures. While blessed with natural beauty, one third of the Nepalese live below poverty level—3.4 million suffer daily hunger and the country is prone to natural disasters such as flooding. The LWF program since 1984 has been assisting those most vulnerable: lower caste workers, women, refugees from Tibet and Bhutan, and (former) bonded laborers. The support of the freedom movement for Nepalese bonded laborers “is one of the shining examples of what the LWF has done globally in terms of people’s rights movements,” our trek leader Duane Poppe, who was the LWF Country Representative in Nepal in the 1990s, tells us. Today, the advocacy and support for Tibetan and Bhutanese refugees requires great political sensitivity. LWF projects focus on empowerment and sustainable livelihoods as well as disaster risk management. We will see and learn more about some of them on our journey. In the evening we meet more of the LWF Nepal team at a traditional dinner accompanied by music and dance. Some of the songs and dances performed provide glimpses into cultural contexts, they are about relationships and apparently also a way of passing news or commenting on developments. Together with a red spot of tika on our faces, we receive a warm welcome by the LWF Nepal team. “We have been working with the poorest of the poor,” the outgoing LWF Country Representative for Nepal, Marceline Rozario, tells us. 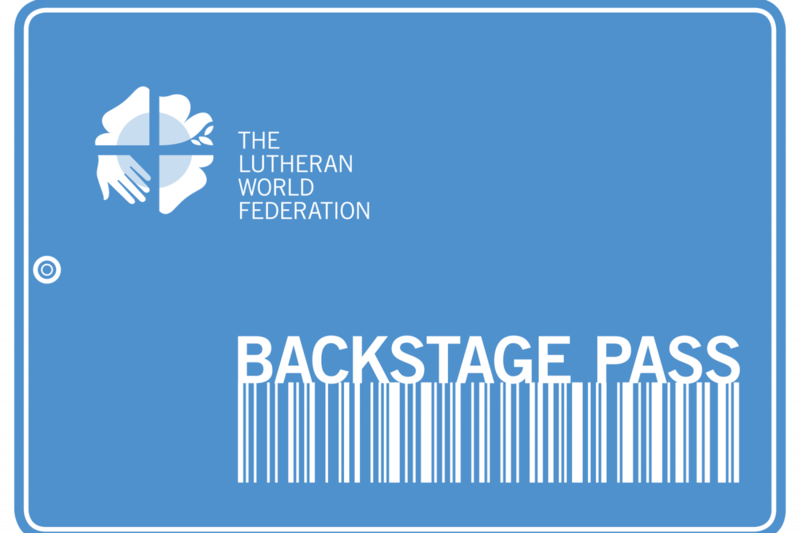 “With participating in the LWF Backstage Pass, you are not only going to see this beautiful country. You also support this work we are doing—you are supporting the people we serve”.